Nice. Your title is great too. 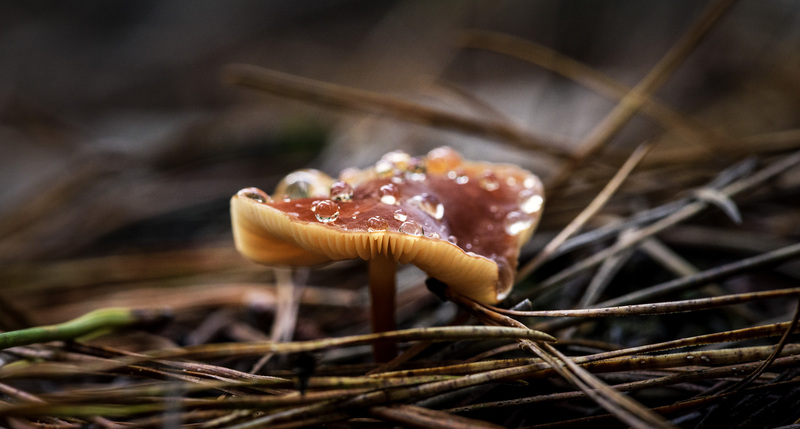 Those raindrops really add another dimension to the fungi. You’ve captured it beautifully in this image. Thank you as always Vicki – some cold nights coming -1 here !! Beautiful image, love the raindrops and the reflections within. I’m glad you have enjoyed them 😀 I had a ball taking them, getting really very muddy and wet – not much different from any other day!! Great photo – I love those drops on the “roof”! And I loved all four photos….